Creating a welcoming home starts with your entryway. You want your entry to give your guests to feel a warm, welcomed feeling each time they visit. 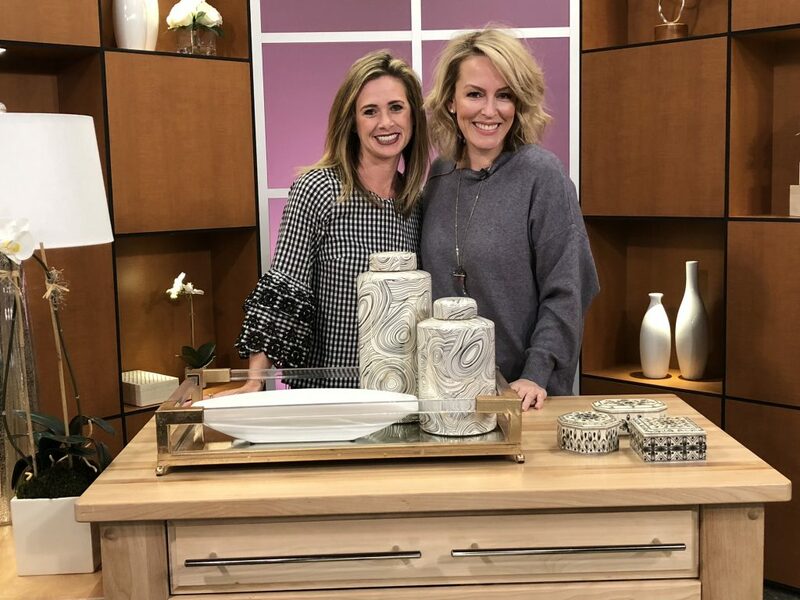 On our latest Studio512 segment, Heather shared some styling tips on how you can decorate your entry so that it is pulled together and memorable. 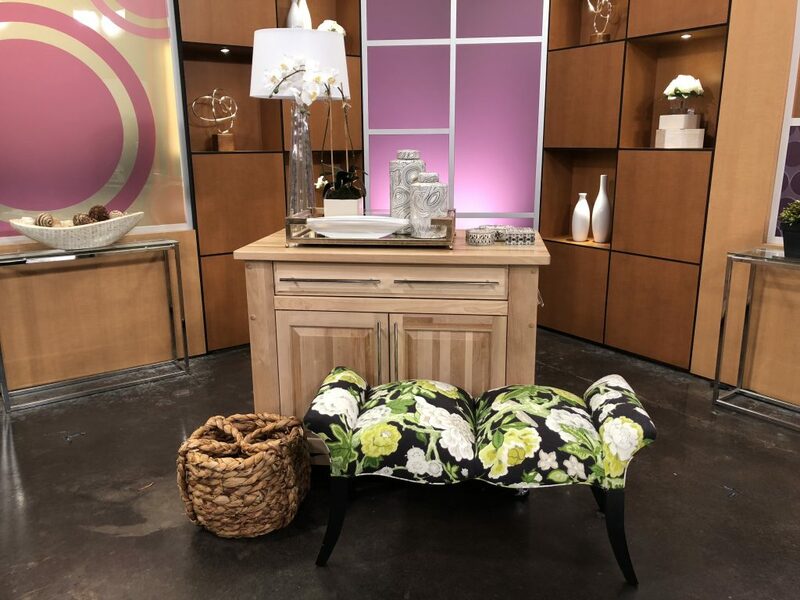 You can watch the full video here, but if you prefer to read the highlights, here is a quick reference guide and a list of entryway essentials you should consider for your home. First, a storage piece or console is always a nice entryway addition. Even if your home does not have an obvious entry, a substantial piece of furniture can establish one and anchor the space. You can also add seating if you have the space. This gives your entry a multipurpose use and another place for a seating area. Then your entry becomes more than a pass through and more of a place you want to spend some extra time. Tucking some extra seating underneath an open console with an ottoman or a bench in a bold fabric can bring in a fun statement to your entryway. Art or a mirror will give the wall a statement. A mirror is great for small space and will give you a place for last minute touch ups as you run out the door. While art can showcase your style and introduce your guest to your home’s color story. Next, a lamp gives your entry necessary light and some height. There are so many lamps to choose from. From alabaster to wood, pick a lamp that flows with the style of your home. Florals are always inviting. If you don’t want to mess with fresh flowers, find something like our faux orchids. They instantly brighten a space and you don’t have to worry about maintenance. You want your entry to be both beautiful and practical. Look for accessories that will keep your space organized. You can incorporate woven baskets for texture and storage. Baskets can hideaway shoes, mail, dog leashes, or any other clutter to keep your entry clean and inviting. They can be placed next your table if space allows. A tray or bowl can also keep your entry organized. You can drop your keys here, minimize clutter, and have your entry feel pull together. You can also use your entry to display some of your collected items. Books, artwork, and favorite objects are great additions. This is really personal and will allow you to show off your prized possessions to your guests. In summary, you can make refresh your entry welcoming a few edits. Above all, make your entry personal in order to leave a lasting impression. For more personalized help, fill out our questionnaire for design services or visit our retail store. This post concludes our January ‘Entry’ series! Next week we will focus on a different space in your home with tips, how-tos, and more!